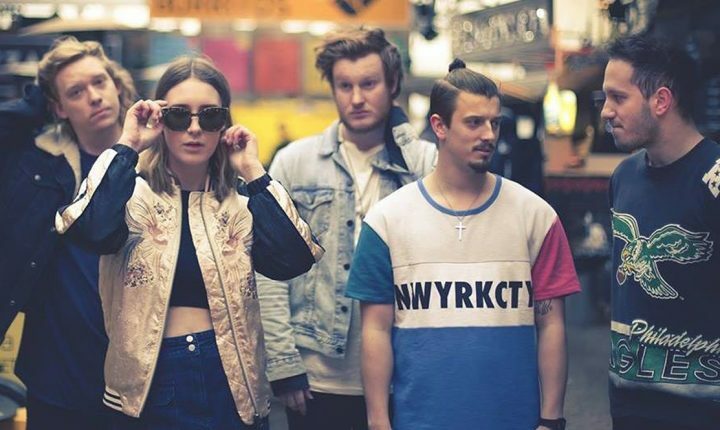 The background: Brighton 5-piece, Fickle Friends first caught people’s attention in 2014 when their debut single “SWIM” amassed over 750,000 Soundcloud plays. Fickle Friends’ upbeat summertime synth-pop has made them a firm festival favourite. This year they embark upon their first UK headline tour and will be releasing their debut EP “VELVET”! The buzz: After becoming HypeMachine’s 25th most blogged artist of 2014, the band have also received acclaim from Zane Lowe, Billboard & BBC Introducing.